Tulsi, also known as "Holy Basil," has been used by many cultures around the world for thousands of years. Described in the Vedas as the most sacred holy plant of India, it was traditionally used in religious ceremonies and ayurvedic formulas. 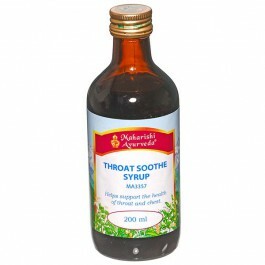 Called "the wonder herb," it's a common ingredient in ayurvedic throat syrup to soothe the occasional cough. 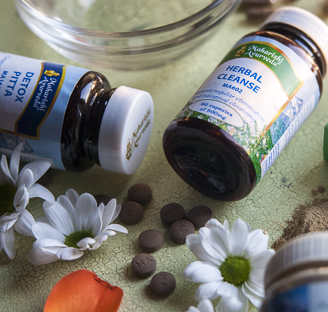 In ayurveda, it was traditionally used to support the colon's natural ability to remove parasites. 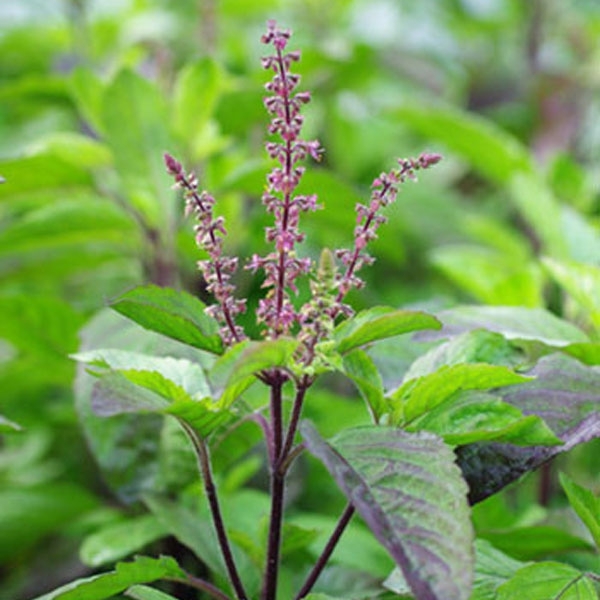 American colonists used Tulsi to ease occasional head discomfort. Organic Tulsi is pungent, bitter, light, dry, and has a heating quality. It balances Kapha and Vata doshas (mind-body types), but can slightly increase the Pitta dosha. 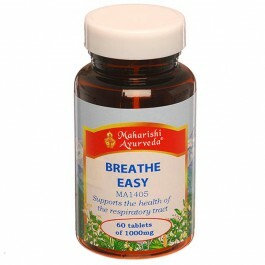 Organic Tulsi has specific benefits for the respiratory system, or pranavaha srotas. Its heating and sharp qualities help liquefy mucus, making it beneficial for the occasional cough, the respiratory system and the body's natural response to allergens. Combined with honey, the juice works well for hiccups. The status of tulsi is evident even in its Sanskrit name which means "the incomparable". Indian basil is venerated throughout India and is described in the tradition as balancing and strengthening. Ayurveda experts recommend daily consumption as a rasayana. 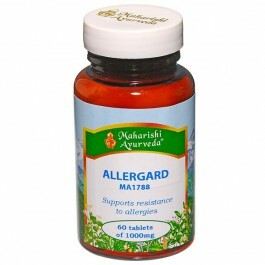 Dose for adults: 1 Tablet 2 x per day with water.